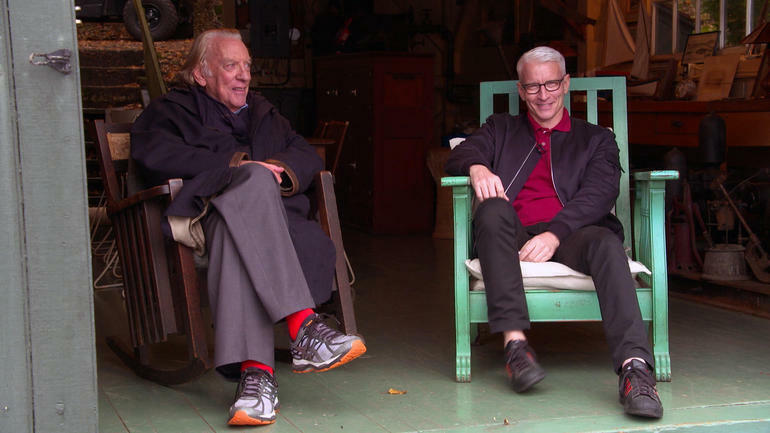 It’s hard to be out with Anderson Cooper and Andy Cohen. Neither blends in. They are hugely recognizable, both appearing on television five nights a week, and when they’re spotted together, people stop in their tracks. Throughout a recent lunch at Cafe Cluny, they were approached by fans of “Watch What Happens Live With Andy Cohen,” his talk show on Bravo; the actress Julianne Moore; and a woman thanking Mr. Cooper for a hurricane relief segment on “Anderson Cooper 360,” his CNN show. In their less famous days, a high school friend of Mr. Cooper’s tried to set them up on a blind date. 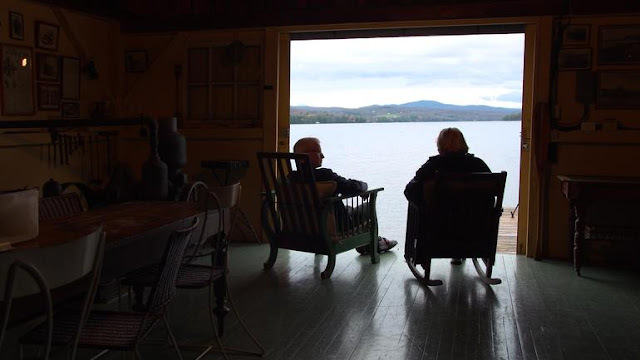 It was 1995, and Mr. Cooper had recently moved from Los Angeles back to New York for a job at ABC News, and Mr. Cohen was a producer at “CBS This Morning.” The date never happened, but a friendship eventually did. Their bond has now become a commodity. Their “AC2” tour, in which they talk about whatever they like before a paying audience, continues at the Beacon Theater in New York on Jan. 26 and 27. And on New Year’s Eve, Mr. Cohen will join Mr. Cooper to host CNN’s telecast from Times Square — replacing the comedian Kathy Griffin, who was fired in May after posing for a photograph while holding a Donald Trump mask bloodied with ketchup. Over tea with milk for Mr. Cohen, 49, and scrambled eggs with toast for Mr. Cooper, 50, the pair discussed first impressions, dancing at the Roxy nightclub, lost luggage and Panda Express. 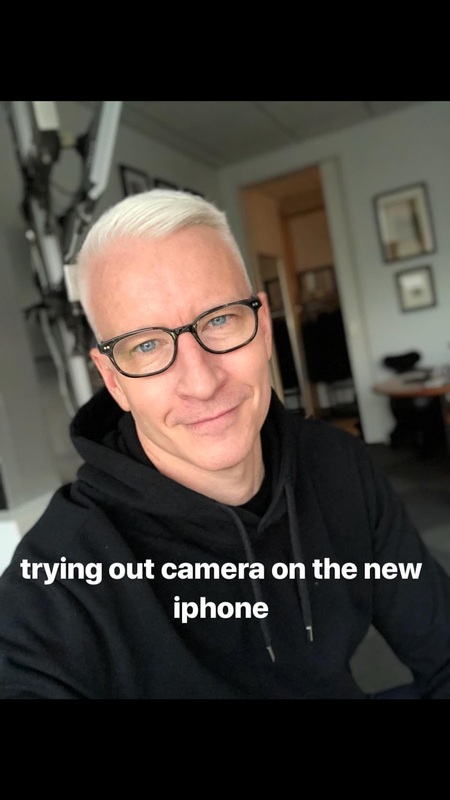 ANDERSON COOPER We had a phone call to set up the date. I was in my office at ABC News. ANDY COHEN I remember being home when I made the call, on Horatio Street. I was excited. COHEN So bad. I wanted to date the Vanderbilt boy. COOPER I imagined him on a Bluetooth headset, walking around, gesticulating a lot. COHEN By the way, you weren’t exactly Mr. Personality on that call, either. COOPER No, I wasn’t. I was very depressed. It was a bleak time. I was trying to figure out my way at ABC. I started as a one-man band; a guy I worked with when I was a fact-checker made a fake press pass for me, and I borrowed a camera and started going to wars. I’d been working at Channel One for three years. I’d never worked at a network. I didn’t know what I was doing. We never had the date. COHEN We started running into each other at the Roxy. He would be dancing around. COHEN We both knew Barry Diller, and we wound up in this group that would travel together, him and his friends. COOPER DVF — Diane [von Furstenberg]. Billie Lourd, she was very young. Sandy Gallin. COHEN We went to Turkey. COOPER I remember going up some waterway in a slow-moving boat, talking to you, sort of entranced. Andy, even before he was on TV, was the life of the party. COHEN I thought he was a little standoffish. But I liked making him laugh. That was my goal: Maybe I can crack this guy up, and that’s where we can come together. COOPER He did this whole “Maniac” dance. COHEN Oh, yes, from “Flashdance.” We were on the boat, it’s a very fast dance, and I was barefoot. Didn’t I cut my foot? COHEN Then we would have dinner occasionally, or be at the same party. We went to Croatia in 2005. I was at Bravo then. COOPER I started working later at night, so our chances for hanging out were limited. COHEN Our shows are so different, but we have commonalities because we’re both on every night. I worked in news —— why are you laughing? Excuse me, I worked at CBS News for 10 years. COOPER You absolutely did, but the advice you would give me was not —— I was in Croatia with him when I got the call about Hurricane Katrina. I turned to Andy and said, “I gotta go,” and, Andy, as a newsman, what was it you said? COHEN He was out to everybody. Everyone at CNN knew your partner. COOPER And I was out at the Roxy. COHEN Yeah, with your flaming-white hair, like Katniss Everdeen. COOPER It was more about not discussing it publicly. But I told you I was going to be making a statement. COHEN He never asked me for advice, but we did talk about it. COOPER I don’t think there’s anything I’ve not discussed with him. It’s nice to have someone who pokes fun at you. If I’m in a dangerous place, he’ll text me something funny. COHEN I do get worried when he’s like, “I’m on my way to Egypt.” I’m like: “Are you kidding me? When are you coming home?” You’re not eating your eggs. Do you not like them? COOPER No, I like them. COHEN Are you going to eat your toast? COOPER I’m going to nibble. COHEN Do you want some jelly? COHEN He is a very fussy eater. We were in the Dallas airport two weeks ago. Tell what you were eating for breakfast. COHEN He was eating orange chicken at 9 a.m. It was so gross. COOPER We took a trip to Brazil five years ago. It was me; my partner, Benjamin [Maisani]; a friend of ours; and Andy. I brought them to Trancoso, this town I’d always heard about. I booked the hotels, I booked the flights — the one thing I asked Andy to do was check the bags in. COHEN I lost Anderson’s luggage. It was terrible. COOPER That was the first time I’ve ever gotten angry at Andy. And when I get angry, I get silent. COHEN Prickly ice-cold monster. You have to navigate his moods. I know exactly when to stop talking to him. COHEN I’m rolling my sleeve up. COOPER I think he was secretly about to check his watch. COHEN No, I wasn’t. Look, you know people when you travel with them. It’s intimate. COOPER We’ve done 30-something shows. 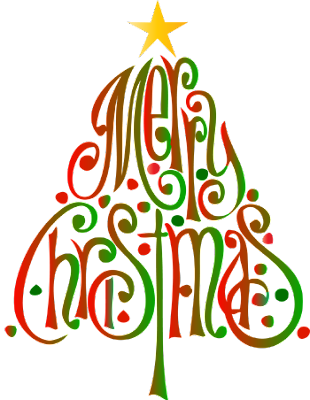 COHEN New Year’s will be a good continuation. It’s going to be really fun. Amy Sedaris is coming by. We’re going to play games. COOPER We want people to feel like they’re hanging out with us for a night. COHEN I’m going to bring alcohol. COOPER I would expect nothing less. COHEN Just so you know. COOPER I’d rather not know the details. 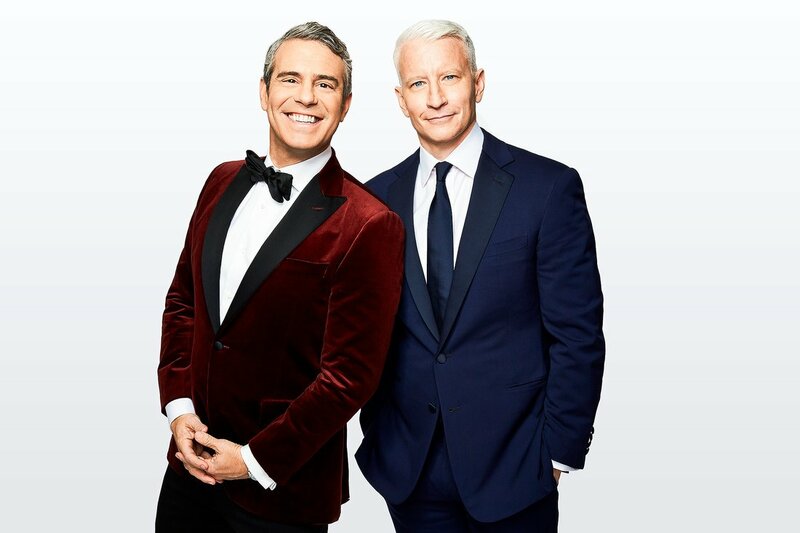 Who Will CNN New Year's Eve Hosts Andy Cohen and Anderson Cooper Kiss at Midnight? 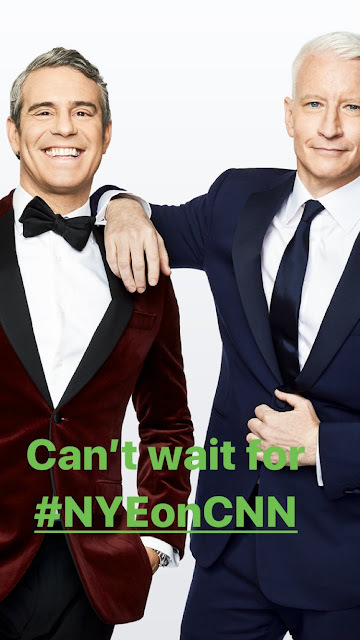 Andy Cohen and Anderson Cooper have been friends for over 20 years — or 25 if you ask Cohen, who has no problem interrupting his longtime pal as the two sit down with PEOPLE to discuss their upcoming gig cohosting CNN’s New Years Eve Live 2018. “I can’t get a word in edge-wise,” Cooper, 50, jabs back at Cohen. “No, I can’t get a word in edge-wise!” Cohen, 49, shouts. If it sounds like the two cable personalities are fighting, they’re not. 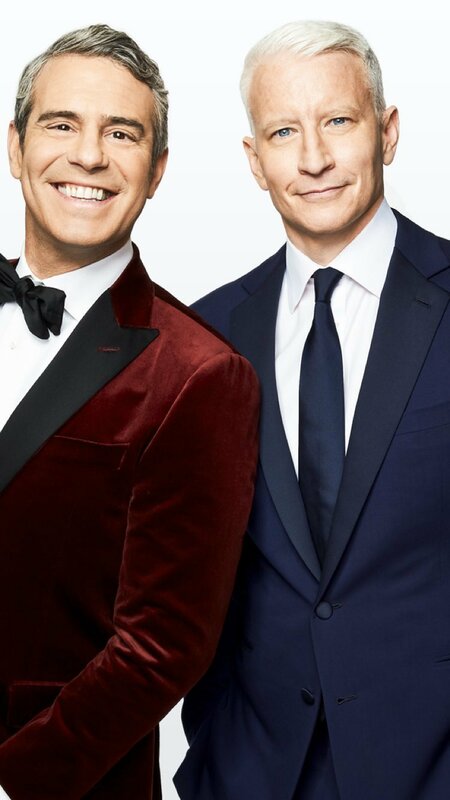 These BFFs have developed a well-oiled act of silly and sophisticated fun throughout the years, one that they’ve taken on the road for the last three years on their live stage show AC²: An Intimate Evening with Anderson Cooper & Andy Cohen — Deep Talk and Shallow Tales. They tease each other, tell all about each other, and most importantly, trust each other. 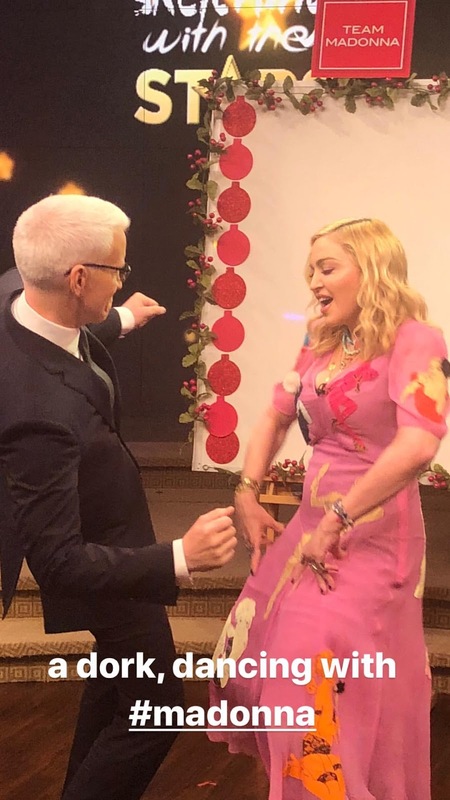 Below, the Watch What Happens Live with Andy Cohen ringmaster and Anderson Cooper 360° anchor discuss the secret to their friendship, what fans can expect from their New Year’s Eve show, and who they’ll be kissing at midnight. Q: Anderson, you’ve hosted the show since 2002, but this is the first time Andy is joining you. What tips have you given Andy about the experience? Cohen: I know, but you haven’t sent me pictures of the boots. You keep saying you’re going to tell me exactly what boots to wear, so I’m just looking at, like, fun boots. 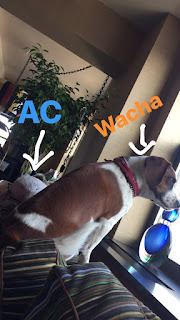 Q: You two have been traveling with AC² for 3 years now. Who has the most annoying travel habit? Cooper: Oh I do, without a doubt. Cohen: —You need a little gum. Cooper: Oh Jesus! I just woke up. Cohen: Well, we’re very close right now. Cooper: Is that my problem? Cohen: Look, he has Listerine. Cohen: —Oh you smell gorgeous! Cooper: Oh shut up! You tell it. Cohen: He was eating Panda Express at 9 a.m. in the airport. This is what I’m looking at? I’m having a bagel like a civilized human being, and he’s just scarfing down Chinese food. And, by the way, he was eating like an animal. Cooper: I hadn’t had dinner! It was very good! Q: Who’s the better packer? Cooper: I am because I travel so much and I travel light and I’m easy to travel. This is the difference between us: When I arrive, I’m in a baseball hat and I check in. When Andy checks in at the airport, it’s like the arrival of Queen Elizabeth. Cohen: He says I’m like Dolly Levi coming back to the Harmonia Gardens. Cooper: He arrives in like a velour pink track suit for maximum attention. He likes attention wherever he goes. Cohen: No! They’re Adidas track suits, in an homage to Missy Misdemeanor Elliot. Q: What makes your friendship work so well? Cohen: I like making him laugh. Obviously, what we are broadcasting could not be more diametrically opposed. But there’s a commonality that we have in that we’re both live on TV at night. And I think that’s something we share that other’s don’t. Cohen: But this question is about us. He was asking about us. Cohen: Oh, okay. You made it seem like it was about you. Q: Have you ever not liked a guy the other is dating? Cohen: No, I don’t think so. Cooper: Well sweetie, with you there’s been so many. Cooper: No, they guys he’s actually dated I’ve really liked. Cohen: Anderson was very supportive of my last relationship. Cooper: I was a big proponent of him. Q: Whose DMs are slid into more? Cohen: Mine. Anderson doesn’t check his DMs the way I do. Cooper: I mean, I’m happy to check my DMs, but I didn’t know that was a thing. Q: You both know each other’s parents, right? Cooper: Andy just met my mom relatively recently. They’ve become email buddies. I think my mom enjoys emailing with him much more than she enjoys any sort of contact with me. Q: I’m sorry, what are you emailing Gloria Vanderbilt about? Cooper: Andy had my mom on his show when her book came out, and that was actually the first time my mom had met him. She was completely entranced and would not stop speaking out him for quite a long time. Cohen: My parents love him. Cooper: I follow his mom on Instagram. Cohen: Yes, she’s very happy about that. Cohen: I think at this point, they’ve reconciled that that is not happening. Cohen: Yes, she’s very pragmatic with us. Almost sometimes a downer. Q: What can fans expect from you guys on New Year Eve? Cooper: Andy is who is he and he’s kind of the life of the party wherever he goes. And I think it’s going to reflect our friendship and the comfort we have with each other and the dynamic of our relationship. We’re as curious to see where it goes and what happens! We’re both eager and excited about it. Q: Have you determined who you are both kissing at midnight? Cohen: Oh good question — who stocks that pool for me? Cooper: I’ll have to import somebody, ’cause it ain’t gonna be me! 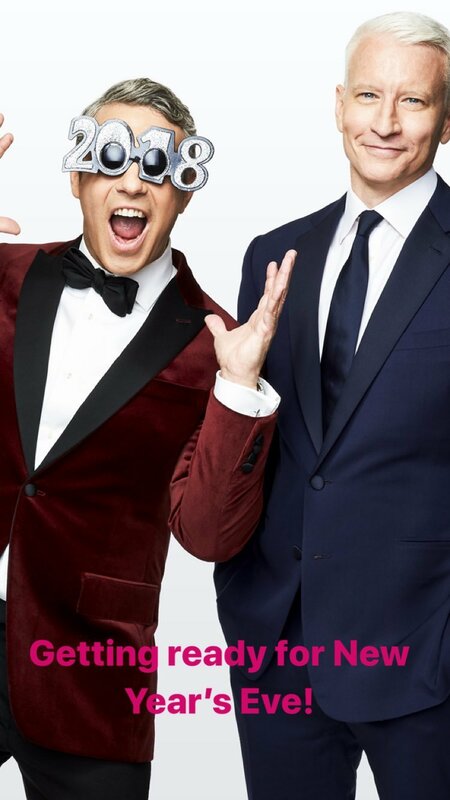 CNN’s New Years Eve Live 2018 airs Dec. 31 (8 p.m. ET) on CNN. For more on Cohen and Cooper, pick up this week’s issue of PEOPLE, on newsstands now. 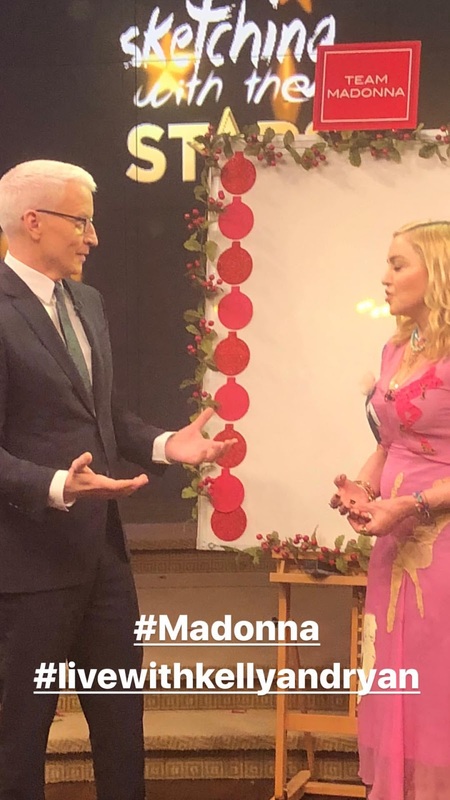 Anderson Cooper was the guest Co-Host on Live with Kelly and Ryan. In the 10pmET hour CNN aired a Young Wonders special, hosted by Anderson. At the end of the program Anderson reminded views to tune into CNN Heroes on Sunday night. Anderson will also guest Co-Host Live with Kelly and Ryan on Monday. Anderson Cooper anchored AC360 in the 8pm and 9pmET hours from the NYC studio. Anderson ended the program remembering those who lost their lives 5 years ago today at Sandy Hook Elementary School. 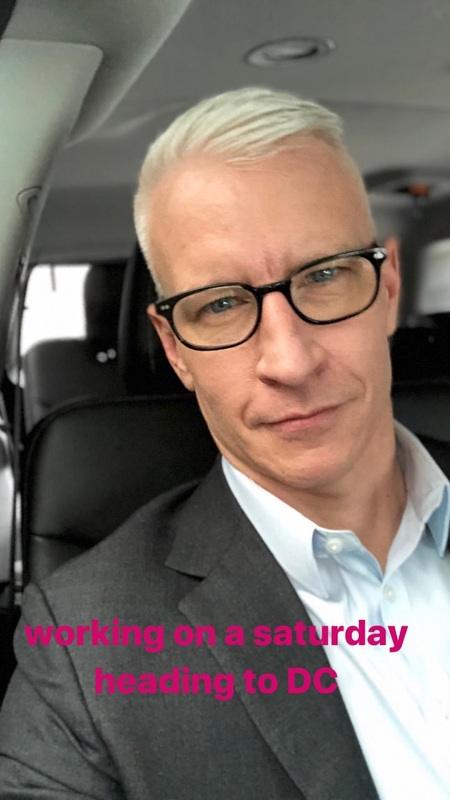 Anderson Cooper was part of CNN's Alabama Special Election Coverage beginning at 6pmET, taking a break during Out Front with Erin Burnett and then three hours of AC360 at 8pm, 9pm and 10pmET from CNN's Washington, DC Bureau. Donald Sutherland has played a wide range of roles over the years, including leading men and all manner of misfits and villains. But the veteran actor says he has always struggled with self-consciousness about his looks, especially after a conversation he had with his mother when he was sixteen. The film star speaks to Anderson Cooper for a profile to be broadcast on 60 Minutes Sunday, Dec. 10 at 7:00 p.m., ET/PT. The Canadian actor was an awkward kid growing up -- tall with big ears. His classmates called him Dumbo. One day, Sutherland asked his mother if he was good looking. "My mother looked at me," he tells Cooper, pausing to convey his mother's hesitation. "'Your face has character, Donald.' 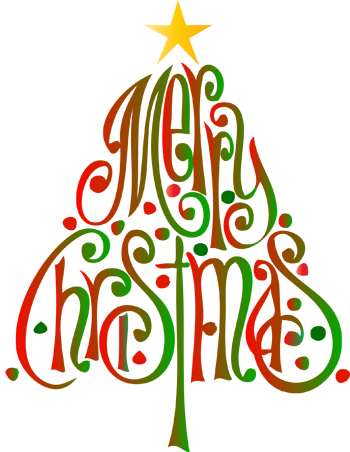 And I went in my room and hid for at least a day," he recalls. Asked whether the remark has stayed with him, Sutherland responds, "Not really, just for 65, 66 years," he responds with a chuckle. "It's not easy to know that you're an ugly man in the business like I'm in." When Cooper asks him if he thinks he is ugly, Sutherland says, "Unattractive is a gentler way of putting it." Sutherland has appeared in over 150 films and television shows over a span of more than 50 years. He got his big break with the 1967 hit "The Dirty Dozen," but first made a name for himself with leading roles in early 1970s classics like "M.A.S.H." and "Klute." In 1980, he starred in "Ordinary People," a drama that won a slew of awards, including the Oscar for Best Picture. More recently, he's played President Snow in "The Hunger Games" franchise. Yet for all his iconic roles, the Oscar has eluded Sutherland. He's been called one of the greatest actors never to be nominated for an Academy Award. He'll have another shot at a nomination with his latest film, due out next month. In "The Leisure Seeker," Sutherland co-stars with Helen Mirren as a retired professor who is coping with old age. Says Sutherland, "He was maybe the nicest man I've ever played, who was losing his mind… and totally and utterly in love with his wife." Did the role resonate? "Sure. All of it. Every bit of it."